President Obama delivered his State of the Union address this week, declaring that the economy has recovered under his leadership and discussed several measures that he would like to see enacted during his final two years in office. Among them, he called on Congress to impose new taxes on high-income earners and new fees on large financial institutions. Obama also reiterated his plan to offer free community college that would be funded by the federal and state government, but is seemingly seeking to discourage individuals from saving for their child’s college by eliminating the tax advantages of Section 529 and Coverdell Education Savings Accounts. Many of the issues he raised have little to no chance of passing in the Republican controlled House and Senate. European Central Bank President Mario Draghi announced this week that the central bank plans to expand its purchase of European government bonds to €60 billion per month until at least September 2016. While additional quantitative easing was expected, the size of the program was larger than consensus expectations. The goal of the plan is to reverse deflationary pressures that are weighing on the Eurozone as many of the country’s economies have stagnated recently. King Abdullah, 91, of Saudi Arabia died this week, calling into question the future of the Saudi’s strategy for crude oil production. Historically, the country has been the oil market’s swing producer, altering production volumes based on demand in order to keep prices stable, but this has not been the case during the current plunge in oil prices. Abdullah’s half-brother, Crown Prince Salman has been declared King and a key indicator of the future Saudi oil policy will be whether Salman retains oil minister Ali Al-Naimi, who has driven the decision making since 1995. Equity markets ended positively this week following the ECB’s announcement of an increased quantitative easing program. The S&P 500 rose 1.62% and closed at 2,052. Likewise, the Dow Jones gained 0.95% and closed at 17,673. Year to date, the S&P and Dow Jones are down 0.26% and 0.73% respectively. Yields in the Treasury markets remained at very low levels this week. The 10 year Treasury bond now yields 1.79% and the 5 year Treasury bond yields 1.31%. The spot price of WTI Crude Oil plunged again this week, falling 7.63% and closing at $45.32 per barrel. In 2015, WTI Oil prices have fallen 15.49%. According to AAA, the national average gas price is now $2.04/gallon as compared to $3.29 a year ago. The spot price of Gold rose by 1.09% this week and closed at $1,294.39 per ounce. Year to date, gold prices are up 9.29%. Initial jobless claims declined from last week, coming in at 307,000 vs. consensus estimates of 300,000. The Labor Department noted no special factors affecting the report. The four week moving average for claims now stands at 306,500. Housing starts rose 4.4% in December against expectations of 1.2%. Rising 7.2% in the month, the increase was primarily from the single-family home category which is a more positive signal. China reported that its economy grew by 7.4% in 2014, its slowest pace since 1990 when growth was only 3.8% as a result of international sanctions following the Tiananmen Square massacre. The slowing growth pace has prompted speculation that the People’s Bank of China may undergo additional support measures. The economy of the United States is estimated to be $17.5 trillion, representing 23% of the $77.6 trillion global economy. The 19 countries that make up the Eurozone and use the common currency collectively have an economy of $13.2 trillion, or 17% of the global economy. Minutes from the December Federal Reserve meeting were consistent Janet Yellen’s comments press conference following the meeting. There was not much clarity given to the future path of monetary policy. However, there were a number of participants who saw a risk that inflation will persistently undershoot the Fed’s 2% target, calling into question when the central bank will begin to hike short term interest rates. Starting in 2017, Illinois businesses with 25 or more employees that do not offer any type of retirement savings plan must automatically enroll it’s employees in the state’s Secure Choice Savings Program, which will allow them to invest in an IRA. The measure comes as a result of a law signed by outgoing governor Pat Quinn. The program is similar to one that President Obama has endorsed on the federal level, which promotes retirement savings for workers who may otherwise not have the access or knowledge to save in tax-advantaged retirement accounts. Workers will be allowed to opt out after initial enrollment if they choose not to participate. Those who don’t opt out will have a default of a 3% payroll deduction used to fund the account and have a limited amount of investment options to choose from. Equity markets earnestly kicked off 2015 with a very volatile week which saw five straight triple digit moves in the Dow Jones Industrial Average. By the end of the week, the S&P had fallen 0.61% and closed at 2,045. Likewise, the Dow Jones moved down 0.49% and closed at 17,737. Yields in the Treasury markets moved considerably lower this week. The 10 year Treasury bond now yields 1.96% and the 5 year Treasury bond yields 1.43%. The spot price of WTI Crude Oil plunged again this week, falling 8.43% and closing at $48.25 per barrel. According to AAA, the national average gas price is now $2.17/gallon as compared to $3.31 a year ago. The spot price of Gold rose by 2.86% this week and closed at $1,222.44 per ounce. Initial jobless claims fell from last week, coming in at 294,000 vs. consensus estimates of 290,000. The Labor Department noted no special factors affecting the report, although the holiday season is traditionally more volatile. The four week moving average for claims now stands at 290,500. The monthly non-farms payroll report showed 252,000 jobs added in December, beating estimates of 240,000. This was the 11th consecutive month of job gains above 200,000 which is the longest such stretch since 1994. The headline unemployment rate fell 0.2% to 5.6%. This was aided by a corresponding 0.2% drop in the labor force participation rate to 62.7%, lowest since 1977. Average hourly earnings disappointed to the downside, declining by 0.2% in December vs. expectations of a 0.2% gain. In 2014, average earnings rose only 1.7% vs. consensus projections of 2.2%. An individual who waits until age 70 to collect Social Security benefits will receive 76% more per month than if they had started taking benefits at age 62. Greek politicians failed to elect a president in a key vote this week, leading to a snap election that will take place next month. There are fears in some corners of the market that the left-wing Syriza party could come into power and jeopardize the bailout that Greece received from the European Central Bank in exchange for austerity measures. This scenario would also increase the odds of Greece exiting the European Union because the nation cannot or will not undertake the imposed austerity measures. Prime Minister Shinzo announced this week a new ¥3.5 trillion ($29 billion) stimulus package, aimed at boosting the country’s lagging economy that has contracted in each of the last two quarters. Abe also announced a cut to the corporate tax rate, lowering the effective rate 2.5% to 32.1%, evidence that Abe plans to make good on his pledge to lower the rate to below 30% in the coming years. 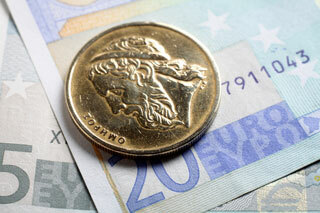 Lithuania has become the 19th member of the Eurozone and will be adopting the shared currency the euro (€). Lithuania is following the path of other former Soviet satellite states such as Latvia, Estonia and Slovakia, in joining the European Union. Equity markets wrapped up 2014, posting solid double digit gains. In 2014, the S&P 500 returned 13.68%, while the Dow Jones Industrial Average returned 10.04%. On the week, the S&P fell 1.43% and closed at 2,058. Likewise, the Dow Jones moved down 1.22% and closed at 17,833. Yields in the Treasury markets moved lower this week. The 10 year Treasury bond now yields 2.12% and the 5 year Treasury bond yields 1.61%. These benchmark yields stood at 3.00% and 1.71%, respectively at the beginning of 2014, which contradicted the majority of forecasts which called for higher interest rates in 2014. The spot price of WTI Crude Oil fell again this week, reaching a new 52 week low. 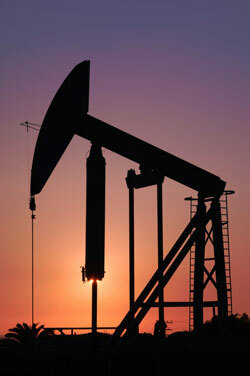 Prices fell 3.91%, closing at $52.59 per barrel. During 2014, Oil prices fell 41.59%. According to AAA, the national average gas price is $2.23/gallon as compared to $3.33 at the beginning of 2014. The spot price of Gold dipped by 0.58% this week and closed at $1,189.05 per ounce. In 2014, Gold prices were down 1.44%. Initial jobless claims rose from last week, coming in at 298,000 vs. consensus estimates of 290,000. The Labor Department noted no special factors affecting the report, although the holiday season is traditionally more volatile. The four week moving average for claims now stands at 290,750. The Case-Shiller home price index rose 0.8% in October, beating estimates of 0.4%. This was the strongest monthly gain since March. Over the last year, home prices have risen 4.5% based on this measure. The share of wages that Social Security replaced for the typical worker who retires at age 65 was 48% in 1980, 37% in 2000 and is projected to drop to 34% by 2020.